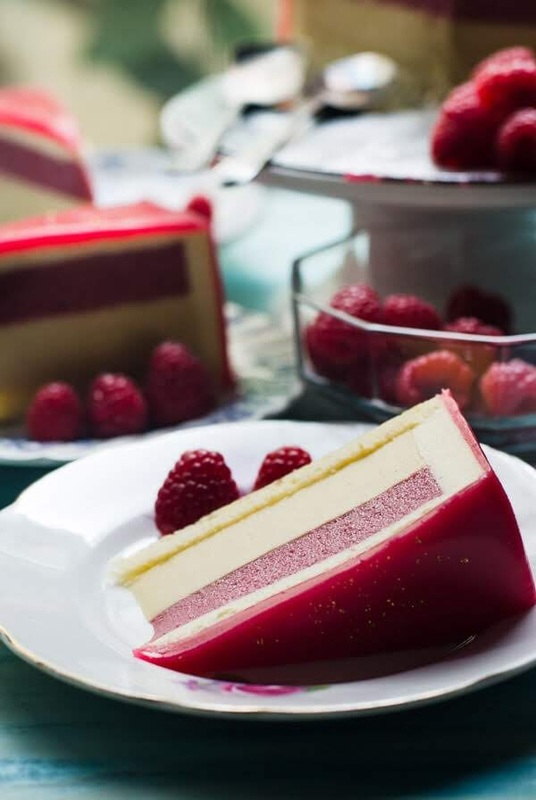 Delicious, elegant looking Honey and Raspberry Entremet is light and delicious. 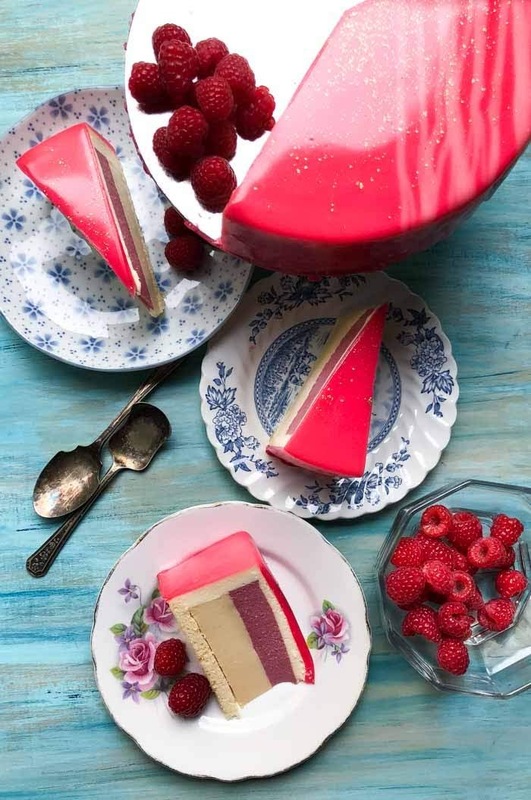 How I wish that you are able to grab a slice of Honey and Raspberry Entremet off your computer screen, have it with tea or coffee while reading my post :D.
Another achievement for me ... yay! I finally can say that I can strike off 'Mirror Glaze' off, of my to-do list. I have been wanting to attempt mirror-glazing, after watching the whole world going crazy about it last year, but... was a little bit apprehensive in prosecuting. 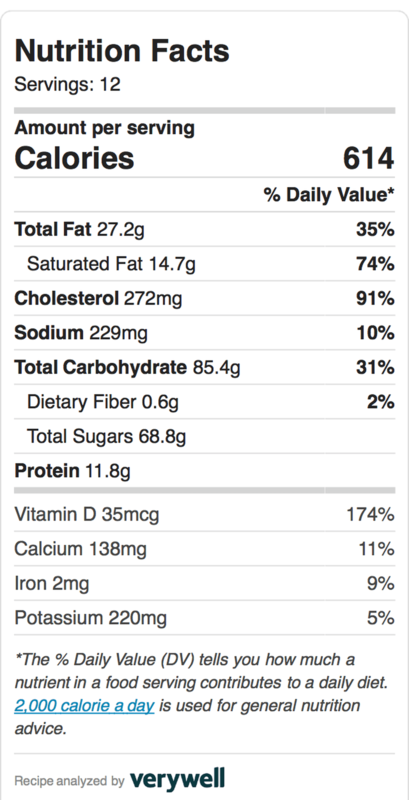 My main issue has to do with the amount of sugar used, be it in the form of real sugar or in its by product like condensed milk and white chocolate. Wastage is another issue that was holding me back! As the saying goes... I have to bite the bullet and just give it a go. 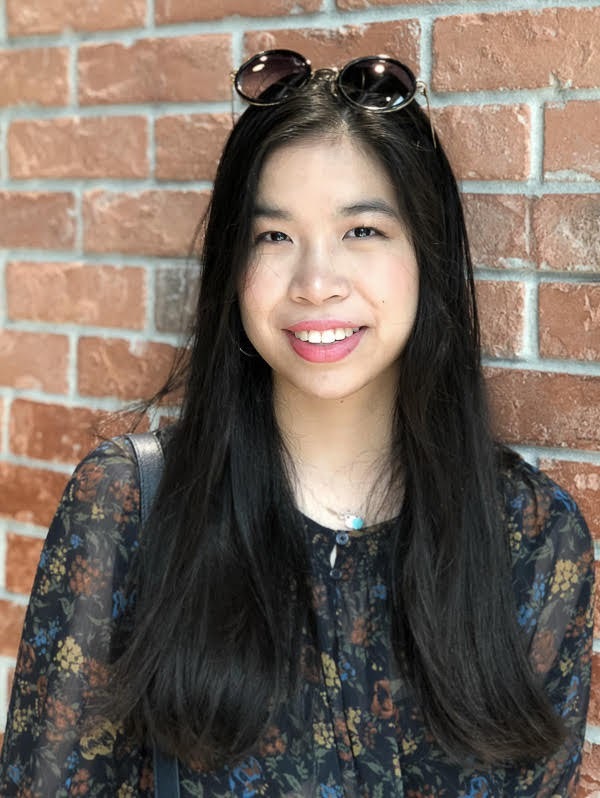 End of May was approaching, and my daughter (my one and only...) turned 21. I must bake something special as I did for my son when he turned 21, 2 years ago! He had Opera Cake for his 21st birthday. I was toying to attempt, those beautiful Korean flowers buttercream cake (yet another one, on my to-do list), but she does not like "cake" that much, so she says :(. What other choices are there... if traditional cake was ruled out! 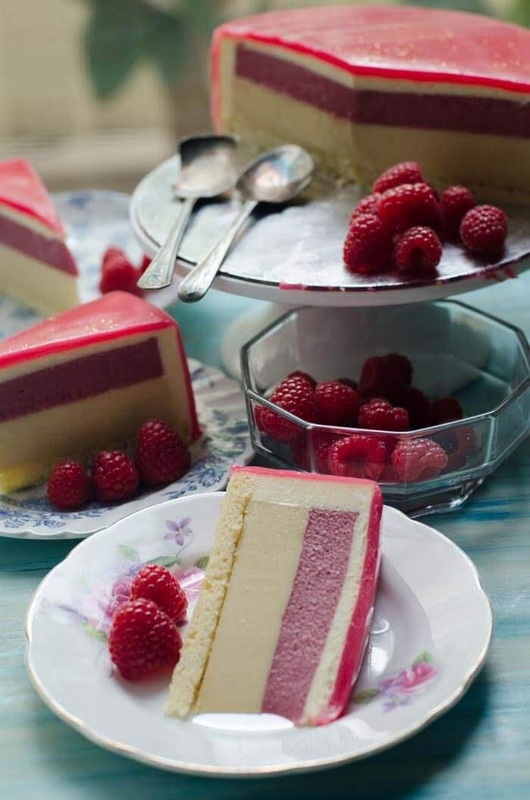 Turned to Mr Google and I chance upon Patisserie Makes Perfect recipe on Honey Raspberry and White chocolate Entremet. I was blown away (and drooling) looking at her gorgeous entremet. 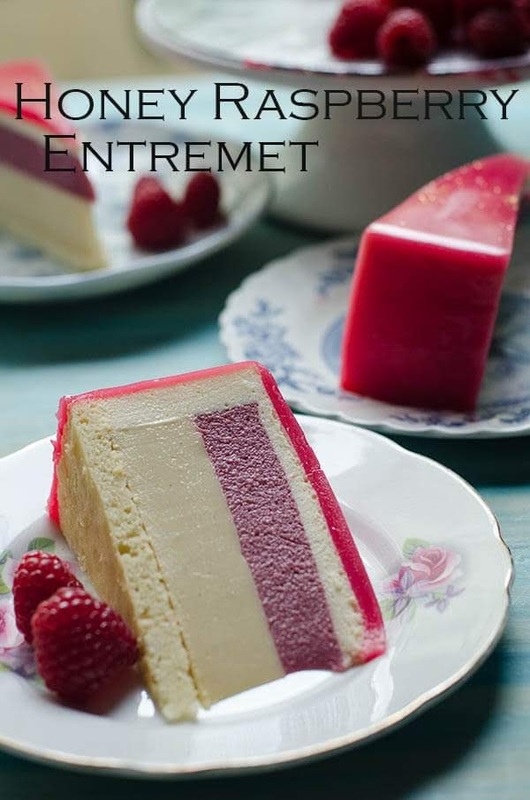 And I was twice blown away (by typhoon), reading the many ingredients, many components and definitely many steps in making Honey and Raspberry Entremet. ...but my heart was screaming.... THIS could IT!!! The one cake that she might like. If Opera cake is tedious, this is another worthy 'cake' for a 21st birthday. 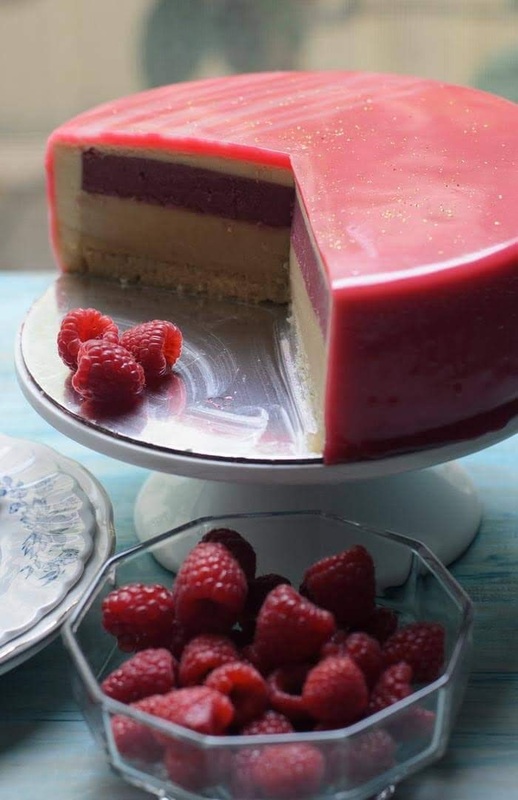 Took me several days to complete the tasks, from baking, freezing, assembling and finally.. the last stage of mirror-glazing this delightful Honey and Raspberry Entremet. 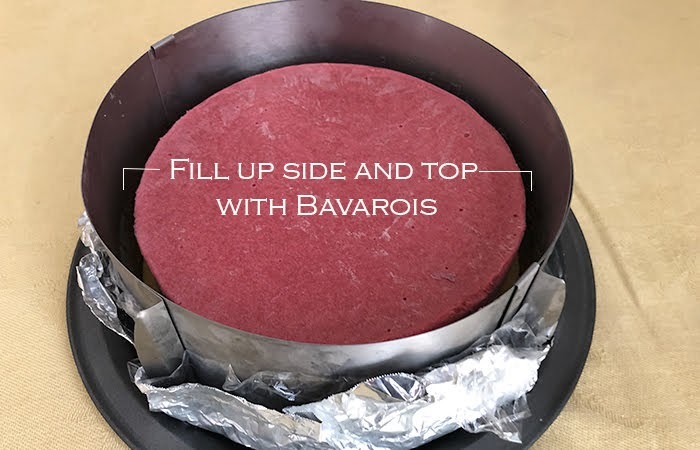 I included photos of some few steps in making a successful Honey and Raspberry Entremet that I find it daunting to put in words. Time does fly in lightning speed. My daughter turned 21 last May. ~ my du'a for my one and only sweet daughter! May HE grant us... to be together and 'live' happily ever after in HIS paradise. First, cut out aluminium foil about 2-3 inch bigger than the 7 inch diameter mousse mould. Place glad wrap / cling film on top of aluminium foil. 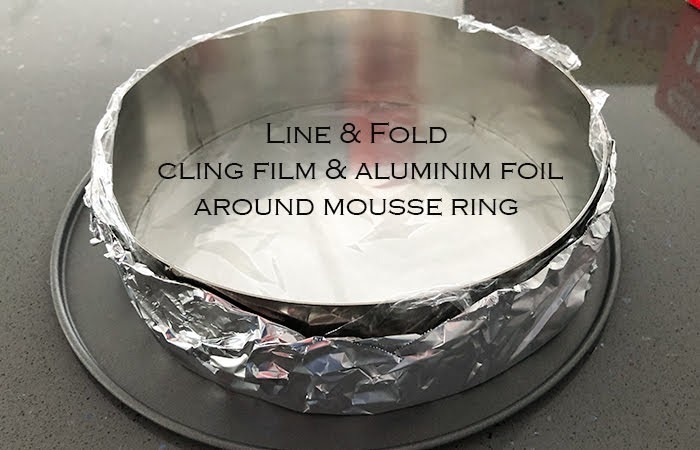 Wrap mousse mould with cling film then aluminium foil. Making sure that no leakage. Grease the mousse mould. Set aside. Place honey with vanilla paste in a medium saucepan over low heat. Remove from heat and add cream and milk. Return to heat, whisk until the mixture is hot. In another bowl, whisk and mix egg yolk with salt and sugar until smooth and light. Pour about a cup of the hot honey cream mixture into the egg yolk in a thin stream. Whisking and pouring at the same time. Return the egg-honey cream mixture to the hot saucepan, and continue to whisk on medium heat until the mixture thickened. Remove from heat and stir in bloomed gelatine. Keep stirring until gelatine dissolve. Pour into the pre prepared mousse mould above. Add half of the puree into the egg mixture. Add and whisk at the same time. Return the egg-raspberry mixture to pan and cook over low heat until thickened. Remove from heat and add gelatine. Stir to dissolve gelatine. Pour into the pre prepared mousse mould above. Place in the freezer until completely frozen. Using bain marie / double boil method, whisk egg and sugar (over low heat) until it reaches 37C. Transfer the egg -sugar mixture to a mixing bowl, whisk until the mixture reach a ribbon stage. Scoop about 1/2 cup of the batter and mix with melted butter. Return the butter mix to the batter in the mixing bowl. Pour onto baking tray and spread evenly. Bake for 15 minutes (depending on your oven) until its golden brown. Place chopped white chocolate in a sizeable mixing bowl. Bring milk to boil and pour into egg mixture in thin stream and whisk at the same time. Remove 2 honey custard and raspberry curd blocks from freezer. Using mousse adjustable mousse ring and prepare as above with aluminium foil and cling film above. Cut the genoise 8 inch/ 20cm diameter, and place inside the adjustable mousse ring. Place Honey custard block on top of the genoise. 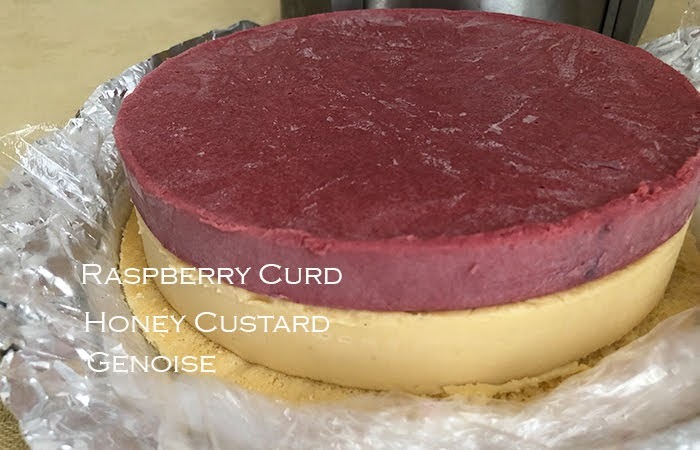 Place raspberry curd block on top of honey custard. 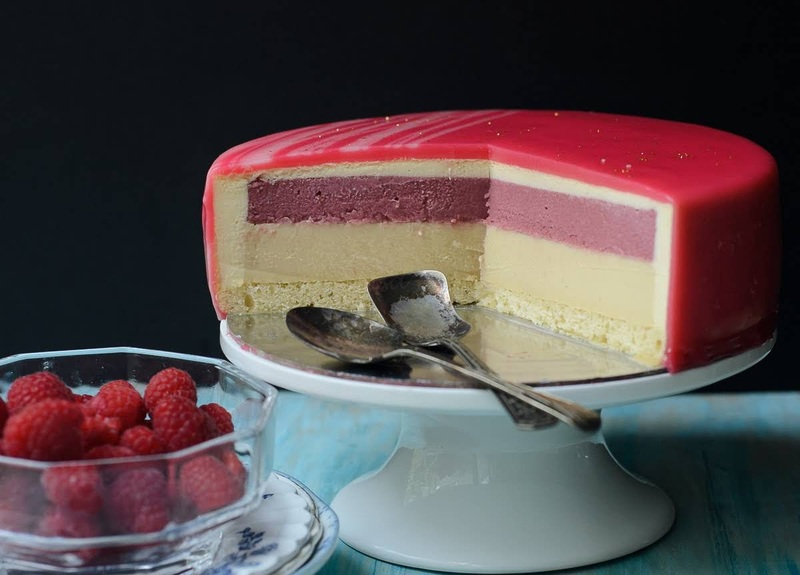 Fill the sides and top with bavarois. Fill up gaps if there is any. Smooth the top with spatula. Remove from heat and add gelatine. Pour the mixture into white chocolate bowl. Let it sit for few minutes. Mix well until smooth. Add oil and food colouring. Mix to thoroughly combine. Allow the glaze to cool to 35C. 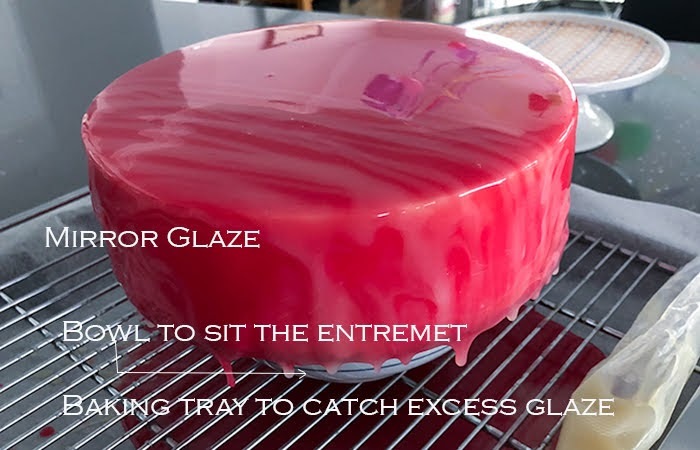 Place glaze in a jug and pour all over the entremet. Place entremet in the fridge to set. 3) I left the honey custard and raspberry curd in the freezer overnight. 4) I have only 1 mousse mould, hence, I make one at a time. I first freeze the honey custard, once frozen I wrapped the honey custard block in cling film and return to freezer until needed. 5) if white chocolate bar is used, do chop, to ease melting them. 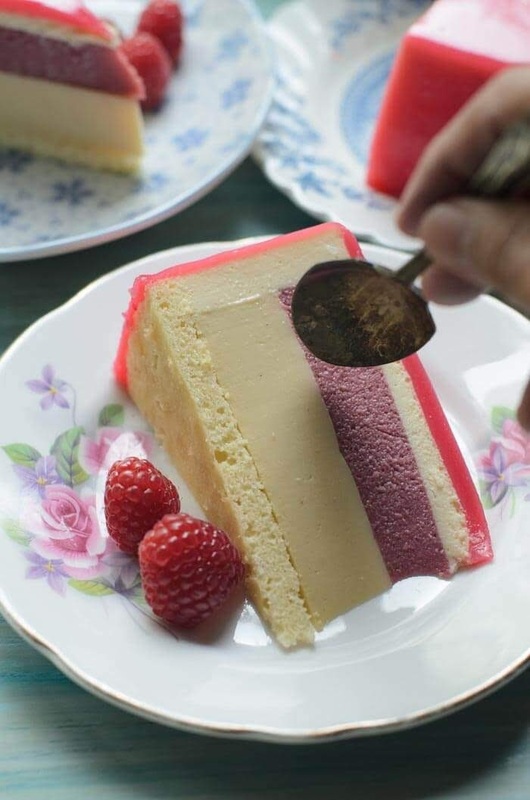 6) try your best to align honey custard and raspberry custard vertically. 7) Need to be fast and careful when pouring. The mirror glaze will set as soon as it hit the cold surface. Your daughter is such a darling ! Mine already 24, just completed her Uni last month and going to attend her graduation on October.